If you haven’t tried it, you’re probably thinking what the heck is green tea. Surely tea only comes in black and white – it’s black, then you add milk! 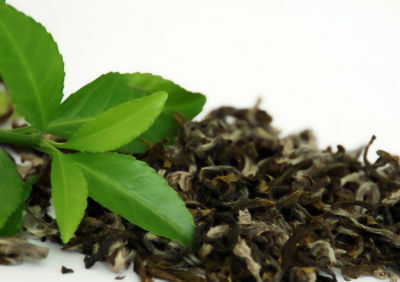 Green tea is essentially tea that is made from unfermented leaves. It’s a drink that has been used in Asia for thousands of years, has been linked to providing loads of those beneficial antioxidants, and like black tea comes from the same camellia sinensis bush (I think – still learning…). Aside from helping you lose weight – apparently, not something I was particularly interested in. But it has also been shown to be useful according to medical studies for those that suffer from certain mental health problems. It is able to help you regulate your body temperature, improve the functionality of your heart, heal wounds, stop bleeding, and help with digestion problems. Apparently. I’m no medical expert so do your own research here of course. But all of these benefits appear to be available from tea leaves that can be purchased at your local store. Interesting eh? Certainly better than that fruity water stuff. First of all, as mentioned before, green tea has antioxidants. Green tea also contains catechins which is from where the antioxidants are derived. It also helps with the absorption of folic acid, iron, and helping with cholesterol levels. It has also been shown to help those that suffer from high blood pressure, and also the prevention of Parkinson’s disease. It’s even good for your skin ladies (because clearly us men folk don’t care about having ragged skin on our face…). All of these benefits are rolled up into this beverage that dates back thousands of years ago. Modern science is now catching up to what the ancients have always known, a beneficial beverage that everyone should drink for their health. Guess What – It Tastes Good Too! I know, this is the craziest bit. Normally healthy stuff tends to be worse right? Now, I will admit it does take a little getting used to. Mainly because you drink this without milk, and it does taste different. But I quickly grew to like it, and now love the stuff. You can find all sorts of different types and blends – I’m a convert – more tea stories soon! Previous PostIs Fruit Infused Water Just a Fad?Next PostHow Do You Look Pretty Without Makeup For School?